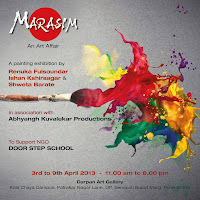 Budding young artists Shweta Barate, Ishan Kshirsagar & Renuka Fulsoundar, have come together to unveil their creations through “MARASIM-An Art Affair” –an exhibit with a difference. This exhibition is being put up in association with renowned Marathi actor-model Abhyangh Kuvalekar’s – Abhyangh Kuvalekar Productions. Inspired from the essence of Nature, the paintings go beyond just artistic delights. With a sense of responsibility as citizens of a good society they are willing to do a bit for the society. 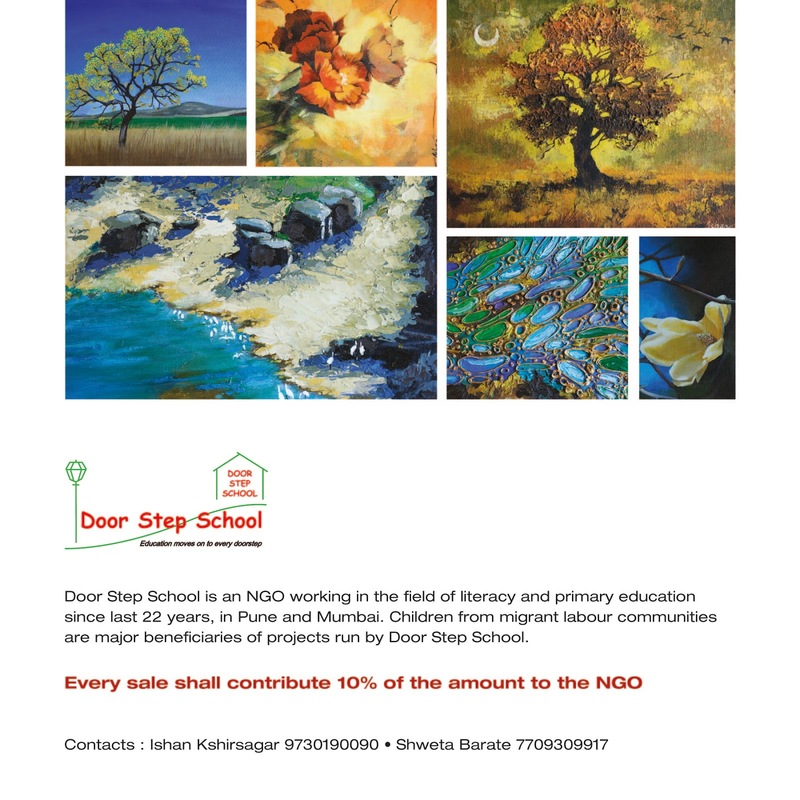 Hence they have decided to support a NGO called Door Step School through this show. 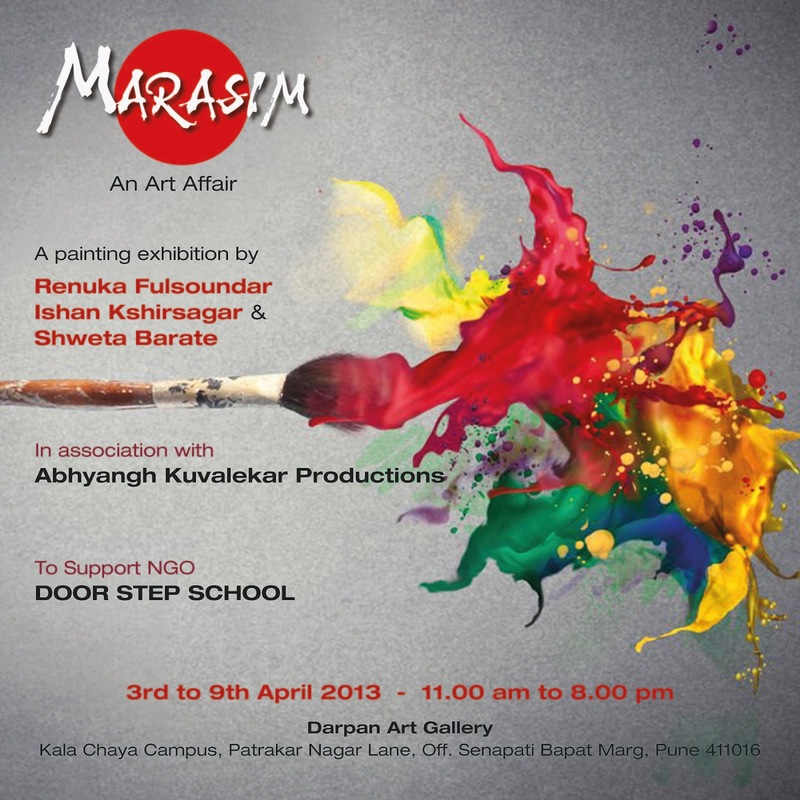 3rd-9th April 2013, between 11am – 8 pm. Attached is the invitation card for you to this exhibition. Please do come and grace the exhibition with your valuable presence.